The Festive Season is upon us once again. I don’t think that many of us will be receiving (or giving) many ABC goodies this time round, but never mind, just pondering matters ABC is perhaps better than nothing. Read on! Further on the restoration theme, opened in the last Newsletter, Steve Hall has put me to shame with his treatment of dents in his front-fork tubes. I simply bronzed my dents in, and then contoured and polished the surface back to original form. Steve cut slots in his tubes opposite the dents, tapped them out with purpose-made bolsters, and then MIG-welded the slots shut! It occurs to me that, even with all the present-day bionic tweaks and replacement parts available to our bodies, we are unlikely to reach the age already attained by our ABC machines: they are less mortal than we! It may seem to us that we own our machines, but perhaps we are only exercising stewardship over them…this idea was amplified recently when Registrar David Hales generously allowed me to browse his meticulously kept ABC correspondence files, which go back to 1970. A lot of the names therein have since fallen off their perches, but their machines mostly live on. 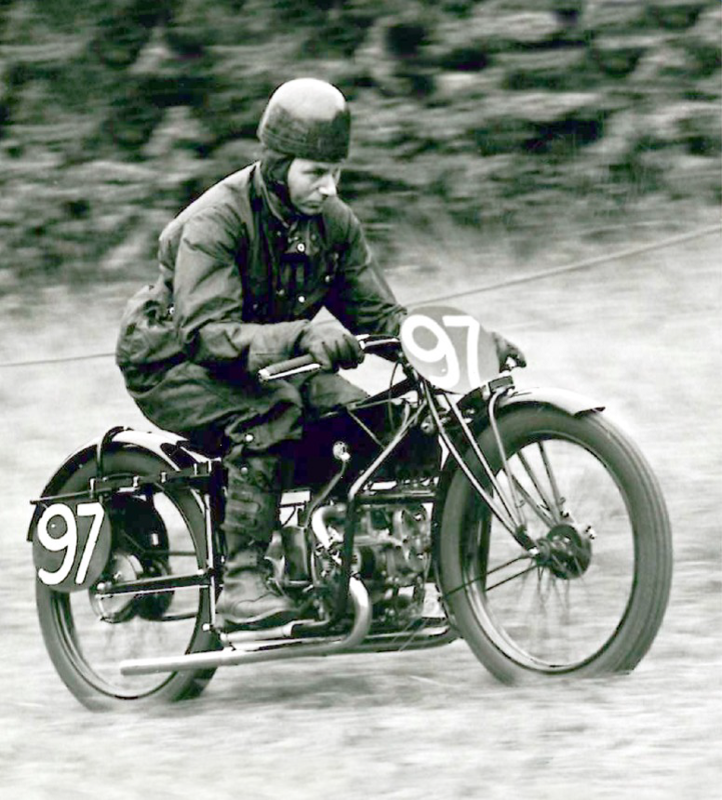 The first of two pictures below is of well-known (former) ABC-exponent Bob Thomas, with his racing face on, in furious action at a hill-climb event at Chalfont St. Giles. This machine was, I believe, a genuine racer. 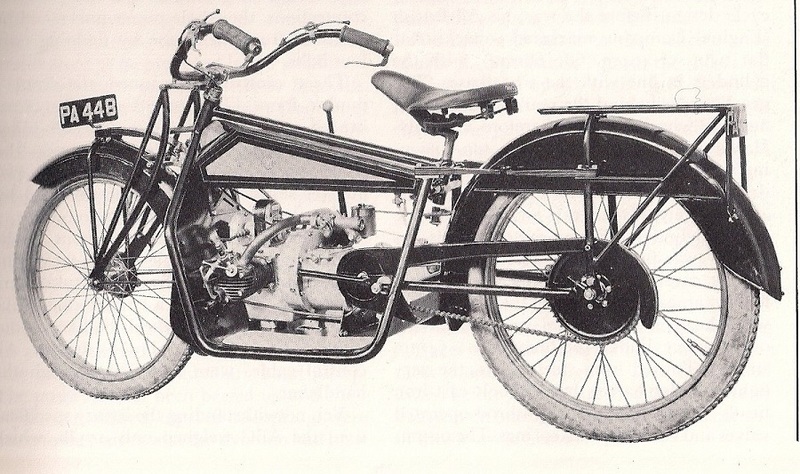 The front suspension leaves are shorter than standard (note the rearward rake of the supporting front-fork member), and there are extra leaves in the rear springs, the forward ends of which are anchored by inverted U bolts to the frame. These days, the machine is to be found at Milntown, Bob’s home in the IoM: it now sports reg. no. 8716 MN, and a pair of ‘silencers’! For some posthumous wisdom from Bob himself, try http://www.vmcciom.org/ and click on Vintage Mann, for March 2012. Thanks to Richard Johnson for all of this. As a sort of Christmas Special, a SPOT THE DIFFERENCE puzzle is included. The picture is of a well-known Sopwith prototype, PA 448. If on one of these festive evenings you find yourself comfily fed and watered and at a loose end, help yourself to a glass of port or similar, and set about listing all the detail differences you can identify between PA 448 and the production model that followed it. Please submit your findings to me, for inclusion in the next Newsletter. There are no prizes, only the respect of your peers if you spot more differences than they! Our Marque Specialist Keith Sams is already planning ahead to 2014, the centenary year of ABC’s first production of complete motorcycles. For the VMCC Banbury Rally, he would like to see enough ABC entries to form an ‘A’, a ‘B’, and a ‘C’ team! A notice to this effect should be appearing in the January 2014 issue of the VMCC Journal. In the meantime, I wish all you and yours a hearty Christmas and a bright start to the New Year! Circulation of this Newsletter is 21. The updated Membership List now stands at 11, and is included to those of you who appear on it.